Today we all took a break from work & home and ventured out for the day to the Cheshire Show. 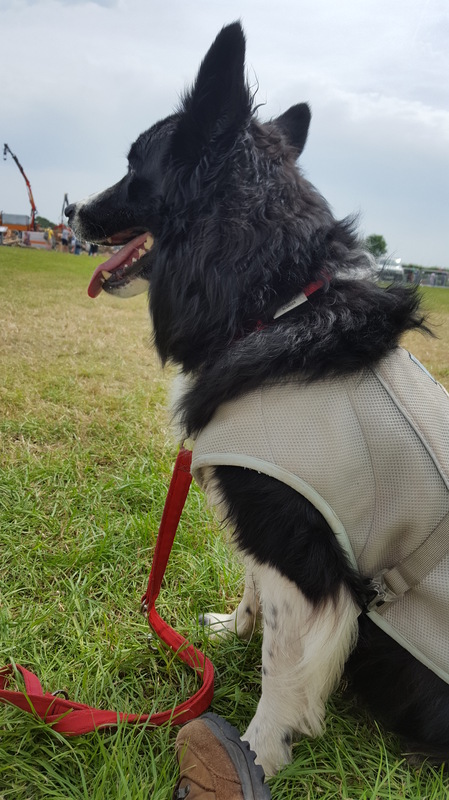 Thankfully it was slightly cooler than recent days this week but still pretty hot, so I took Guinness’ Ruffwear Cool Coat and kept it drenched using the hand washing facilities. I was impressed to see so many dogs there today wearing cool coats, a few years ago barely anyone had heard of them. I personally prefer the Ruffwear one to the Easidry coats. You can read my full review here. It worked wonders for Guinness today. Its always a nice surprise to place my hand under the coat and feel how cool Guinness is, and when I took it off him his back and belly was really nice and cold, even at the hottest part of the day. Of course I made sure to keep it soaked and give Guinness plenty of water, plus we stopped for frequent breaks in the shade. 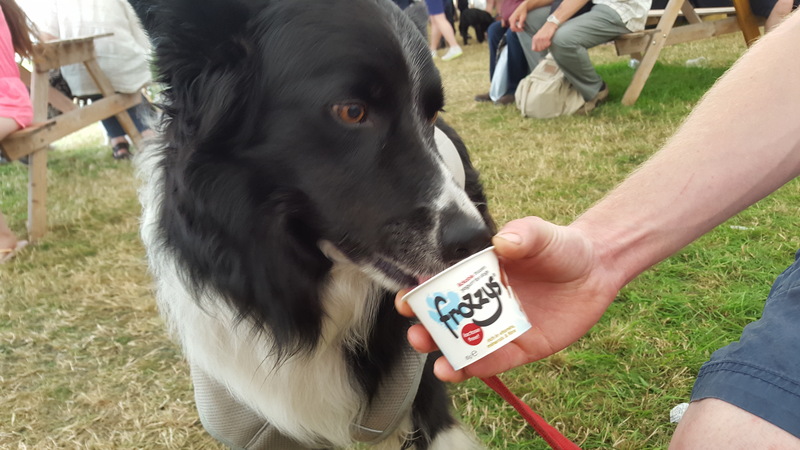 As I wandered in to one of the tents I spotted an advert for frozen yoghurt for dogs! Amazing! We bought a cranberry flavour for £1.50 and sat down while Guinness enjoyed it. It took him about 5-10 minutes to lick and eat it up. He really liked it. It seems the perfect treat for a hot day to keep puppies or adult dogs busy for a short period. Plus it must be quite refreshing for them. You can also defrost it and mix it in with kibble, or maybe place in a kong. 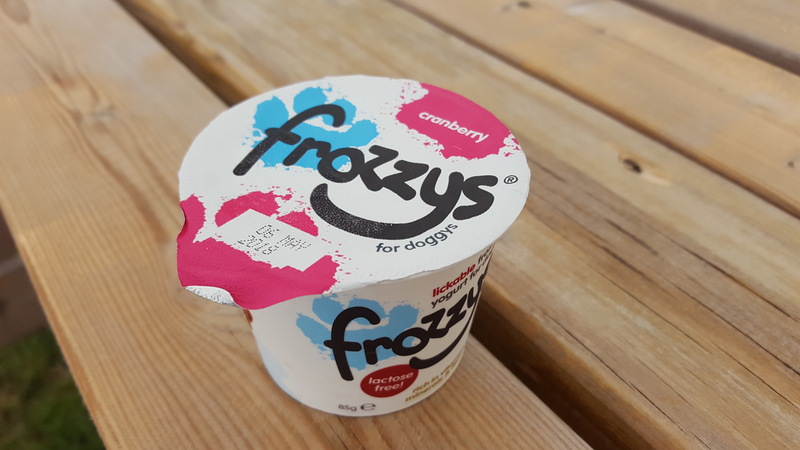 Check out Frozzys website and you can become a stockist. The shop I bought it from today was Arton & Co. Overall it was a really pleasant day. We wandered, drank coffee, bought pies, dreamed about buying hot tubs & garden furniture, and admired & chatted about cows. It was nice to be able to chat about something we both have an interest in. 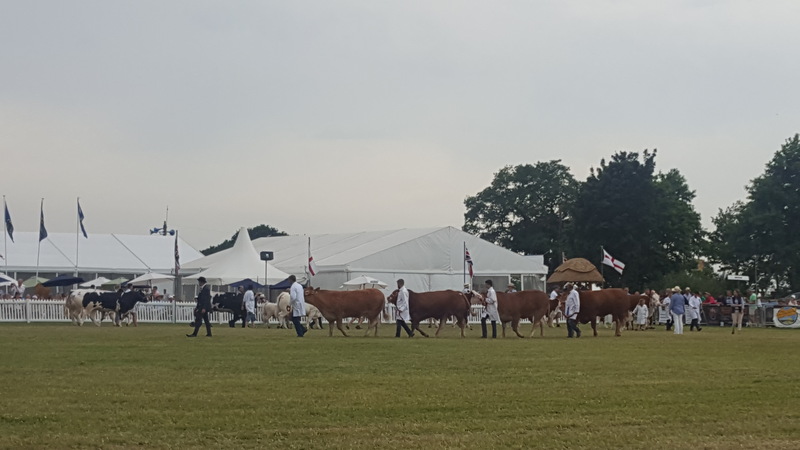 Nothing beats a good county show. Ah that’s a really good idea! I have made chicken stock ice cubes in the past.